The MLB released its top 100 prospects on MLB Network a couple days ago. It did include three Twins players (Graterol, Kirilloff and Lewis) and the twins were one of two teams to have two players in the top ten (Astros had two). This is the first time the twins have had two top ten prospects since Buxton (No. 1) and Sano (No. 4). Perhaps the most interesting thing about all three players is they are all expected to be in the majors at some point in 2020. The first player for the Twins players was ranked at #68 overall and it is Brusdar Graterol, a right handed starting pitcher who is only 20 years old. Graterol is the pitcher the twins are hoping gets them caught up with the new velocity era in the MLB. After missing all of 2016 and being limited in 2017 due to TJ surgery, Graterol returned in 2018 to throw 102 innings with 107 strikeouts at the A/A+ level of the minors. His 2018 stats were an 8-4 record, 2.74 ERA, 1.15 WHIP, and a 4.2 K/BB ratio. Graterol is expected to spend most of his season at A+ or AA ball and expect him to tear right through those lineups. He has a ceiling of a major league ace and he is one of the most exciting pitching prospects the Twins have had in a long while. He pitched much better than prospects ranked higher and if it weren’t for the injury he could be top 25-30. The second prospect ranked for the Twins came at #9 and it was right fielder Alex Kirilloff. Much like Graterol, Kirilloff missed a full season (2017) due to injury. That didn’t slow him down much because in 2018 he was able to hit for a .333 AVG with a .999 OPS in Cedar Rapids. This success earned him a promotion to the AA club where he continued to produce big numbers. He hit .362 in AVG with a .963 OPS and it was looking like he could hit any level. The 21 year old figures to start in AA but could very well move up to the AAA level if he continues his success. He was definitely a steal for the twins, being drafted 15th overall and now becoming a top 10 prospect in all of baseball. He seems to be climbing so fast we could possibly see him in September playing some meaningful baseball for the Twins. Finally, the final player ranked for the Twins is number 5 prospect in baseball was the Twins number 1 overall pick in 2017, Royce Lewis. The 19 year old already looks like a star and has everything a future all star would need. He’s an excellent five tool player with great base stealing and defensive speed, 20-25 home run potential, an above average arm and great hitting awareness. The only thing that noticeably needs work would be his glove, but even that is already average. The number 1 pick is living up to his potential and Twins fans should be extremely excited to see a mix of Carlos Correa and Francisco Lindor in one player. Lewis saw success at the A level last year and was eventually promoted to High A+ where he saw some struggles, but he is 19 and only faced a pitcher younger than him two times. Lewis will likely play half the season at A+ and the other half at AA Pensacola. 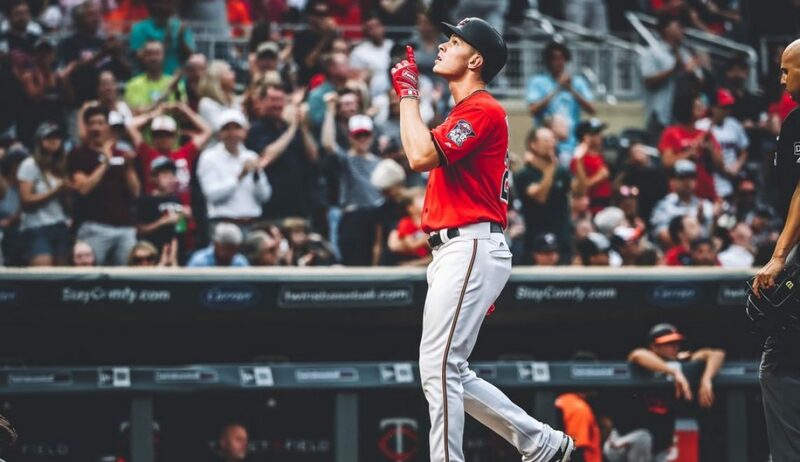 It’s hard to emphasize enough how much potential Lewis truly has and how excited Twins fans should be to watch him progress through the organization. Thank you for reading my twins top prospects review, I would love to do more interactive articles with fans, so go visit my Twitter. (@EverydayTwins) If you enjoyed please leave a like and share with your friends. If you disagree or have any questions please leave a comment or ask me on Twitter. Also, The Twins will win the AL central.